The skin is deeply cleansed, gentle resurfaced and nourished using a Multi Acid Peel to rebalance & brighten the skin. A non invasive treatment to achieve immediate, smooth and clear results to the outer surface layer of your skin. Thalgo’s Skin-Expert machine uses crystals for a gentle and controlled exfoliation. Oxygen is natures most powerful healing element. By infusing it into the skin with our medical grade machine and in conjunction with Linda Meredith’s advanced treatment serum, skin is visibly plump, firm and hydrated, with results visible after just one treatment. An advanced clinically proven anti-ageing skin treatment that stimulates cellular regeneration to produce collagen and elastin and promote greater absorption of serums. LED therapy will help treat skin imperfections, fine lines and wrinkles, post inflammatory scarring and rosacea. It will not only help to minimise acne, but also soothe your skin and reduce both redness and inflammation. Your therapist will individually design your facial depending on your current skin concerns and desired results, combining the appropriate resurfacing treatment with either Oxygen or LightStim LED. From our mid-20s, our skins production of Collagen and Hyaluronic Acid begins to slow with the effects starting to show from mid-30s. Following a thorough skin cleanse and enzyme peel, Linda Meredith’s fine sheet of freeze dried collagen and infused hyaluronic acid is moistened into the contours of the face. This process reactivates the ingredients which then absorb into the epidermis revealing a plump younger looking skin. 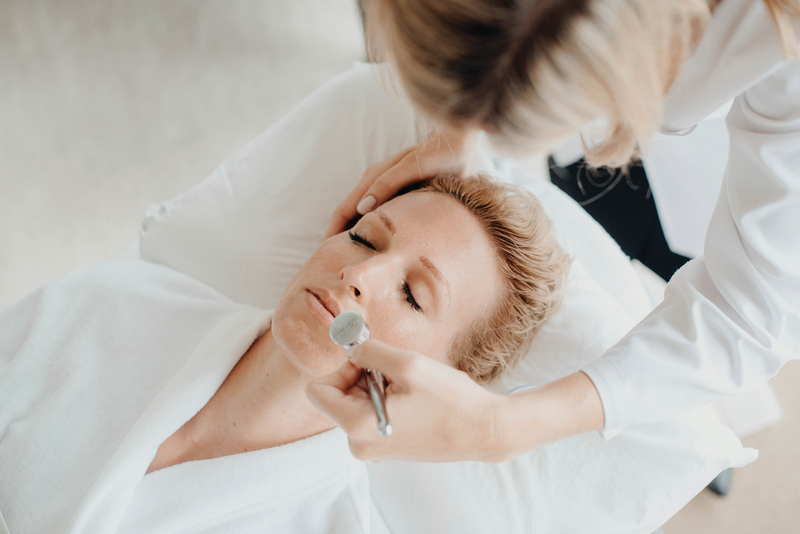 Thalgo’s signature facial treatment has been designed to address all basic skin functions utilising a gentle double phase enzymatic exfoliation and a fresh enveloping mask. Your therapist will assess your skin and your priorities and choose the best treatment for you. Can be tailored to address dryness, dehydration, sensitivity, dull texture or excess oil flow. Suitable for all skins including men and teens. Add a little bit of relaxation to any of your facial therapies for a completely unique Spa experience. Please note these treatments/prices are add-ons only to the facial treatments listed.